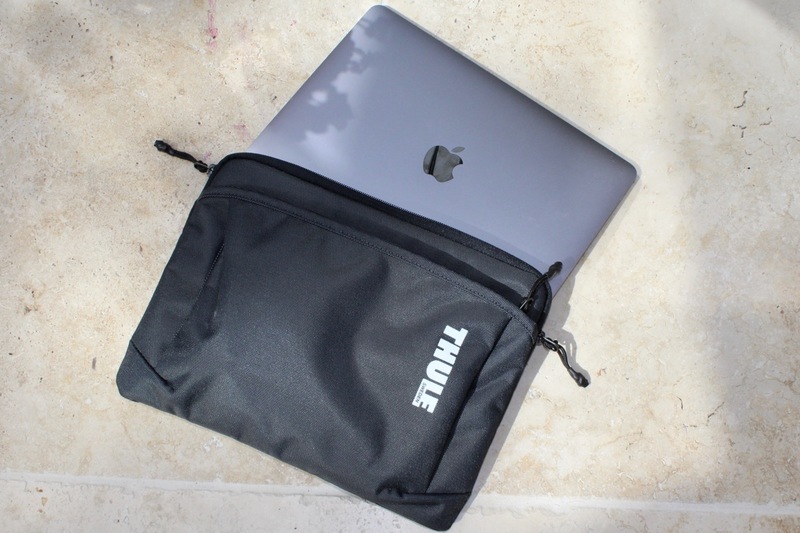 Your MacBook is housed in a padded section, with a soft interior and strong Thule zipper. 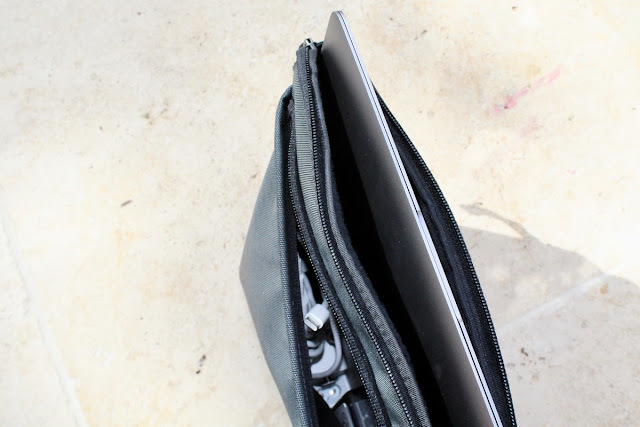 Then there is also an outside pocket, which is perfect for housing a power plug, memory sticks and dongles. The case houses everything safely together, so you don't forget or damage that vital electronic component. 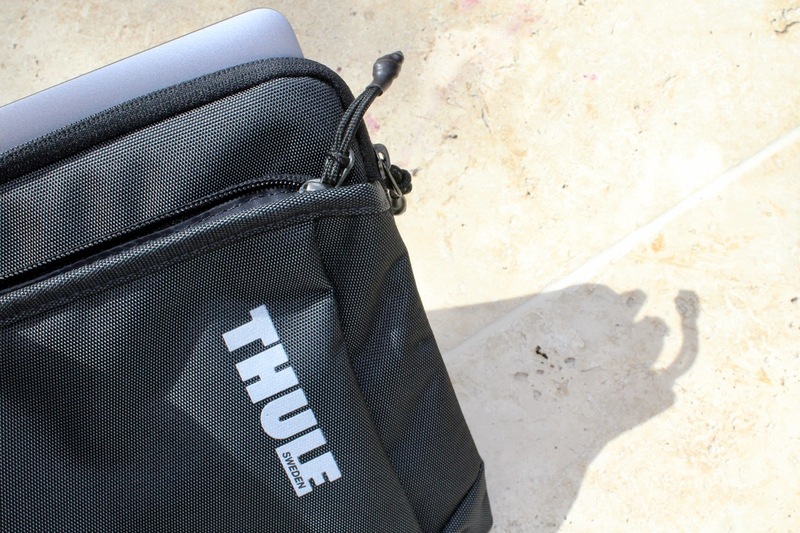 Whether you are taking your MacBook on a daily commute in a rucksack, or on an epic adventure in a bike pannier; this is a case that will provide it with great durable protection, throughout your global travels. Does it fit in the sleeve while in the Vectros case?